The historic Cleveland Women’s Orchestra serves Greater Cleveland and Northeast Ohio. Founded in 1935, it is the last of the many women’s orchestras that flourished during the early part of the century. The orchestra provides performance opportunities for women musicians, showcases talented young soloists and performs a series of free “Gift of Music” outreach concerts for various social service agencies, schools, hospitals, retirement homes and nursing homes. Over its many years, the orchestra has performed over 500 free outreach concerts — a record unmatched by any other orchestra in the area. 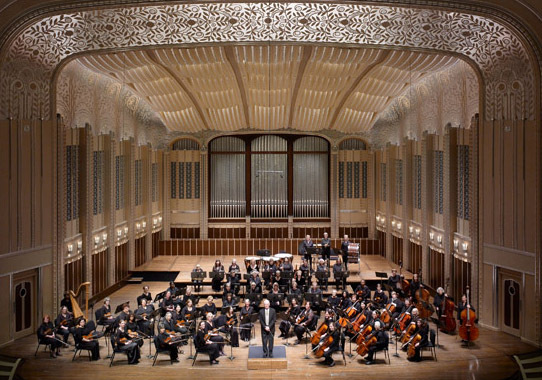 In addition, the orchestra performs symphonic concerts in cooperation with other area organizations and returns to Severance Hall each Spring for its annual Anniversary Concert. Cuyahoga Arts and Culture, Kiwanis Foundation of Cleveland, MetroHealth System, Mt. 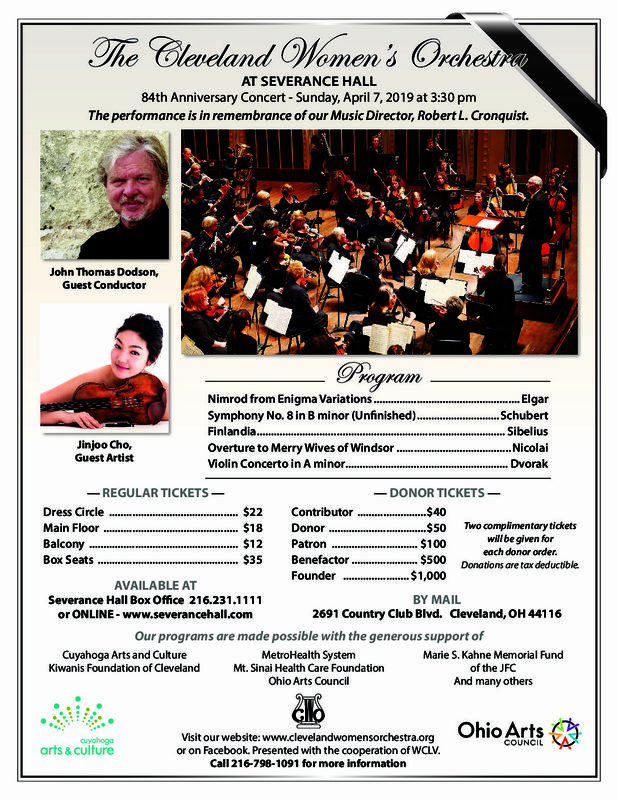 Sinai HealthCare Foundation, Ohio Arts Council, Jewish Community Federation, The George Gund Foundation, Cleveland Foundation, and many other generous sponsors. © 2019 The Cleveland Women's Orchestra.